On this first day of July, our weekday mini articles will take on a new series called Butterflies Galore! We will feature the awesome works of ButterflyCircle members who spend their time and effort shooting these winged jewels in Singapore on a regular basis. 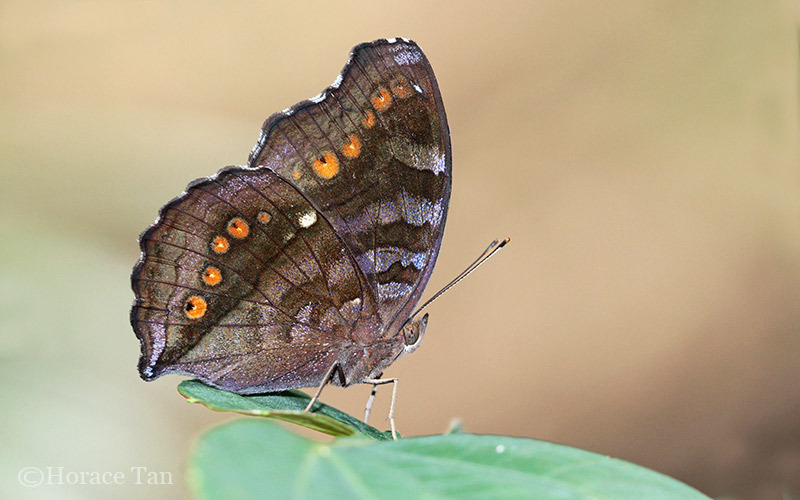 Today's feature butterfly is the Chocolate Pansy. A common and widely distributed species, it is often ignored by photographers who prefer to chase after rarer subjects to add to their personal collection. However, although it is a common species that can be found in urban parks and gardens, as well as in nature areas, it is a very skittish butterfly and usually uncooperative. ButterflyCircle member Horace Tan chanced upon this tame individual recently and was able to bring out the beauty of this predominantly brown butterfly (hence its common name), with its reddish brown ocelli and cryptic patterns on the underside of the wings.